The nose is full of ripe red fruits, sweet spice and a touch of tobacco. The mouthfeel shows red currant and cassis fruit layered with notes of cedar and espresso beans. The finish is soft and sweet, with finely grained tannins adding structure and length. The renowned Catena family began making Alamos in 1993. 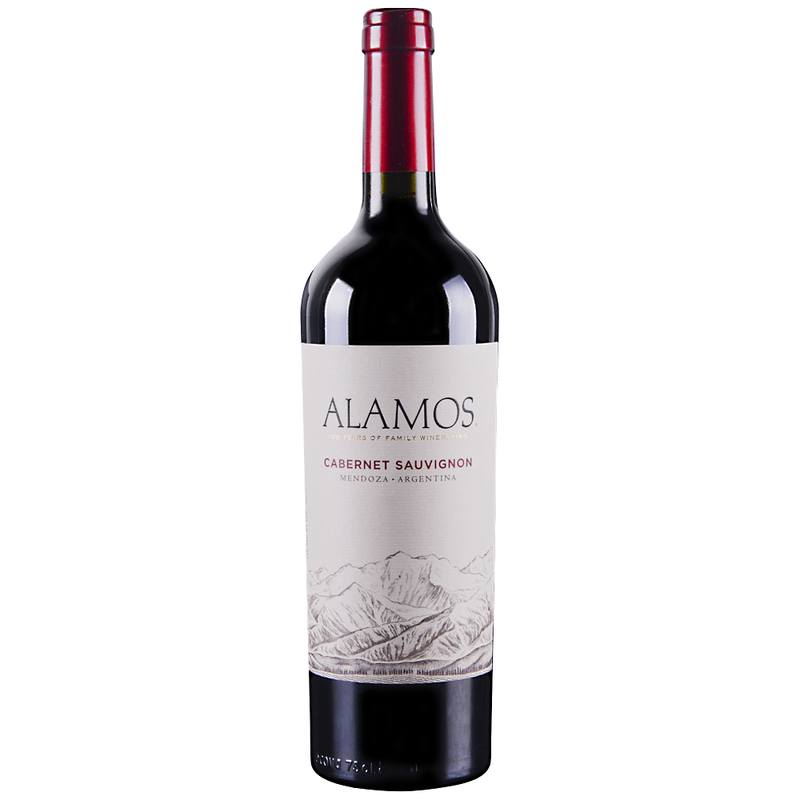 Its name is derived from the poplar trees that line the high altitude vineyards of Mendoza, Argentina (Alamos means “poplar” in Spanish) and protect the vineyards from the mountain winds. "Aromas of tobacco, tea and dark fruit. Medium body, firm and silky tannins. Juicy fruit...dry and fresh."